Address : 33, Poseidonos Ave.
All rooms are air conditioned sound proof comfortably furnished with colour satellite TV, direct telephone private bathroom and balcony overlooking the Saronic Gulf. 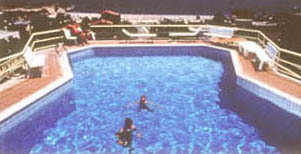 Swimming pool is at the top floor surrounded by a spectacular roof garden from where you can overlook the whole area enjoying a cocktail from the �BIKINI BAR». The elegant �EFSDEMELE RESTAURANT� is open for breakfast, lunch or dinner. 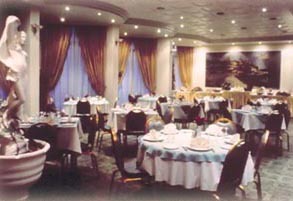 The �a la carte menu� features many appetizing Greek and international dishes. Finest Greek wines can be found in our wine list. Our excellent location allows our guests to commute easily to unique archaeological sites and museums . The beach is 200 m away. Glyfada square with its modern shopping and sports centers, lively Greek taverns, marinas and night life is a few minutes walk. The championship 18-hole International golf course is only 1 km away and is open 365 days a year to challenge you. 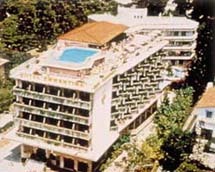 If you are familiar with EMMANTINA HOTEL, please share your opinion of it with other travelers. Write a review!